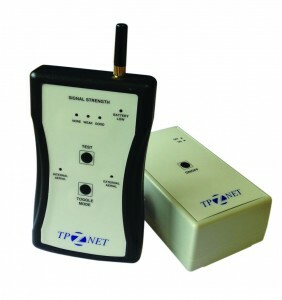 Unlike wired sensors that pass all information down a cable, wireless sensors rely on sending their information through the air to a receiver, in this case the Titan Products TPZ-Net co-ordinator (TPZ-COORD). 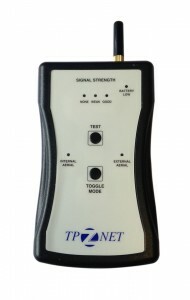 In order for the TPZ-COORD to receive the wireless information from the TPZ-Net wireless sensors it needs to be in range and free of any obstacles which could block or reduce the signal strength. If the wireless information isn’t relayed properly then the TPZ-COORD cannot relay this information back to the BMS via BACnet and the HVAC control cannot operate correctly. What is the Site Survey Kit? The Site Survey kit comes in 2 pieces; the receiver and the hand held transmitter. The receiver houses a rechargeable battery making it perfect to use when a new building doesn’t have any power yet and the transmitter uses 2 x AA batteries. The receiver acts as the TPZ-COORD co-ordinator or a repeater while the hand held transmitter acts as the sensor. How to perform a site survey? 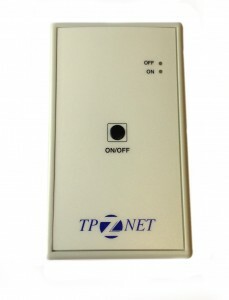 Power ON the TPZ-receiver and place where you plan to install the TPZ-COORD or TPZ-Repeater. Now go to the location where you would like to install a TPZ-Net wireless sensor. If you are performing a Site Survey for an internal sensor, make sure Internal Aerial is selected. If you are performing a Site Survey for an external or plant sensor make sure the External Aerial is selected. The toggle mode button is used to switch between aerial types. 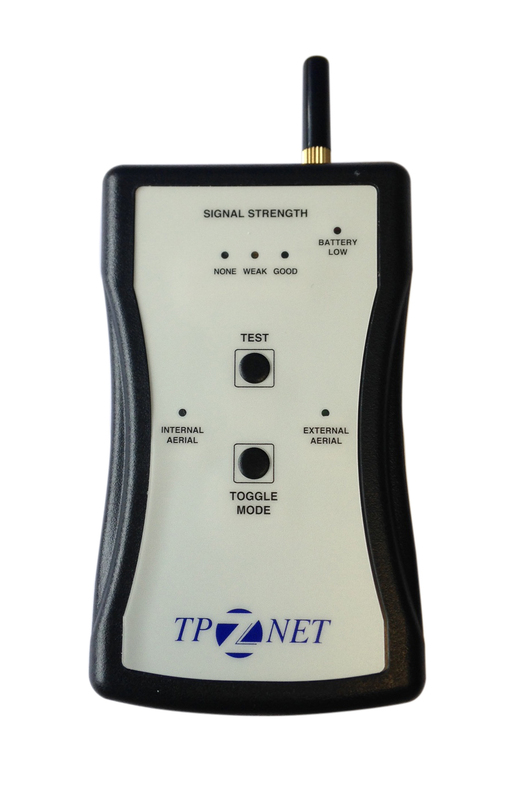 Once in position and with the correct Aerial selected press the test button on the TPZ-Transmitter. The aerial LED will light up to show a test is being carried out and after a couple of seconds the results will be shown by either the Good, Weak or None LEDs on the hand held unit. If the result is good the sensor can be mounted in that position. If weak a repeater is recommended between that sensor location and the TPZ-COORD. If none, that location isn’t suitable without the addition of repeaters. The TPZ-Net range from Titan Products offers wireless solutions for Temperature, Co2, Humidity, Light Level and PIR Occupancy. The wireless information is exposed directly onto a BACnet network via the inbuilt BACnet communications of the TPZ-Net co-ordinator. This entry was posted in Sensors. Bookmark the permalink.